Mortal Kombat is finally here! The wait is finally over! The latest installment of NetherRealm Studios’ fighting game franchise is finally in stores nationwide. Back with a “Mature” rating that features a staggering amount of blood, guts, and fatalities, Mortal Kombat is sure to take its rightful spot back as the best fighting game on the market. The response the game has generated has been overwhelmingly positive, so congratulations to Ed Boon and the rest of the team at NetherRealm Studios for a flawless victory (pun intended). It’s strange to think that just two years ago, the future of Mortal Kombat was uncertain. 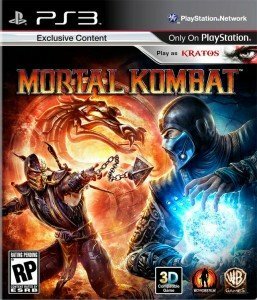 When Midway Games filed for bankruptcy in February 2009, many fans thought the Mortal Kombat brand would die with the company. But Warner Bros. flew in like a superhero saving the day and acquired Midway’s Chicago studio and the rights to Mortal Kombat. Retaining the Midway Chicago studio, it became a part of Warner Bros. Interactive Entertainment and was later rebranded NetherRealm Studios. Under a new name and a new synergy, NetherRealm Studios chose to reboot the series and bring it back to its roots. Opting for a pick-up and play focus and honoring the first three Mortal Kombat games with the classic 2D fighting plane, the game is a “familiar” experience for veteran players and an exciting and straightforward experience for new players. DMK is working on getting our Game Guide up, so please bear with us. In the meantime, head over to our discussion forum and discuss the game with other Mortal Kombat fans. And don’t forget to follow us on Twitter, Facebook, and YouTube for the latest news and media on Mortal Kombat.